Galentine’s Day was made relevant by Leslie Knope (played by Amy Poehler) on the popular NBC sitcom Parks and Rec. As Ms. Knope put it, it’s about "ladies celebrating ladies." 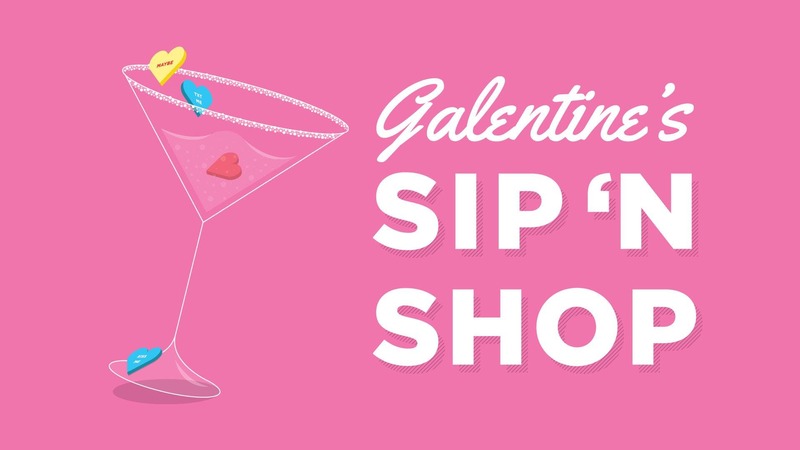 Sip ‘N Shop is an opportunity to do just that, come hang out with your girlfriends and BFFs, and treat yourselves to a little self-care around Valentine's Day at WestShore Plaza. Women can stop by select retailers, grab a beverage and/or small bite and shop a special in-store discount! First 50 women to register will recieve a Galentine's Day Swag Bag at Check-in and paint a wine glass with Tampa Artist, Alicia Campos!